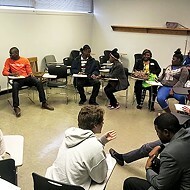 Shelby County Juvenile Court turns to alternatives to juvenile detention. and Shelby County Juvenile Court's detention center have decreased more than 65 percent since 2012. This is solely attributed to the area's implementation of the Juvenile Detention Alternative Initiative (JDAI). 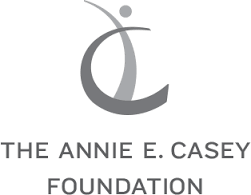 In January 2012, the Annie E. Casey Foundation officially designated Memphis and Shelby County as a JDAI Site. To date, it's the only area in the state that holds this designation. The goal of the program is to reduce the number of juveniles detained for misdemeanor offenses, like domestic assaults, and place emphasis on felonies. 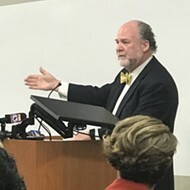 "What we try to do is not detain those juveniles unless there's some other related charge," said Chief Administrative Officer of Memphis and Shelby County Juvenile Court Larry Scroggs, regarding domestic assaults. Domestic assault is one of the leading offenses juveniles are charged with locally. It accounted for 26 percent of offenses committed by juveniles in 2014. "Usually, it just takes a cooling off period, trying to get everybody calmed down," Scroggs said. "For those cases, it's appropriate that we are able to house them over night until things are pretty much under control." To determine whether or not a teen should be detained or be released to community supervision or their parent(s), JDAI personnel uses a detention-assessment tool strategy. The strategy examines a juvenile's current offense(s), prior offense history, and prior failures to appear before court. Each factor is assigned a point value that determines an overall score. If the score is lower than 10, a juvenile can be released. If it's between 10 and 18, they're eligible for detainment. If the score is 19 or above, they're automatically detained. In 2011, prior to JDAI's implementation, there were 5,249 admissions to juvenile detention. The following year, there were 3,949. The number of admissions dropped in 2013 to 1,504. And in 2014, there were only 1,304 juveniles detained. In addition to reducing unnecessary detainment, JDAI also seeks to reduce racial and ethnic disparities affecting African Americans in the juvenile justice system. In 2012, results of a three-year investigation into Shelby County Juvenile Court were provided in a report by the Department of Justice. The report revealed that African-American defendants were reportedly detained more often and sentenced more harshly than their white peers. Since then, the juvenile court has provided equal-protection monitor's reports to display the reform they've implemented regarding the disproportionate referrals of blacks (about 90 percent) to juvenile custody, juvenile court, or adult criminal court. "The overall numbers are coming down, and there is a value in that," Scroggs said. 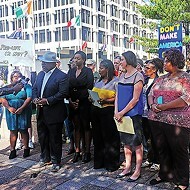 "As the overall numbers come down, the number of African-American juveniles is also declining. Last year, there were 77 juveniles transferred to the adult system. I think all but two of those were African American. But the preceding year, there were 90. The year before that there were 130." Looking forward, JDAI representatives hope to continue to lower admissions to the juvenile detention center and eliminate crime with efforts like evening reporting centers. The centers, already in operation at other JDAI sites across the country, would serve as an alternative to juvenile detention. The program primarily targets at-risk youth who have violated probation or have been apprehended on a warrant. After school, those juveniles would be bussed to the centers, where they would be provided dinner, recreational activities, and homework assistance. They also would receive transportion home in the evening. "[By doing] that during the period of time when children are the most active and out in the community, you have a handle on those children, especially if they're on probation," said Kimbrell Owens, JDAI site coordinator. "It's meant to give them a different avenue."